Flexible thermoplastic UL and CGA approved hose. These hoses are rated up to 350 Pounds Per Square Inch working pressure with a 400 Pound pull test rating. 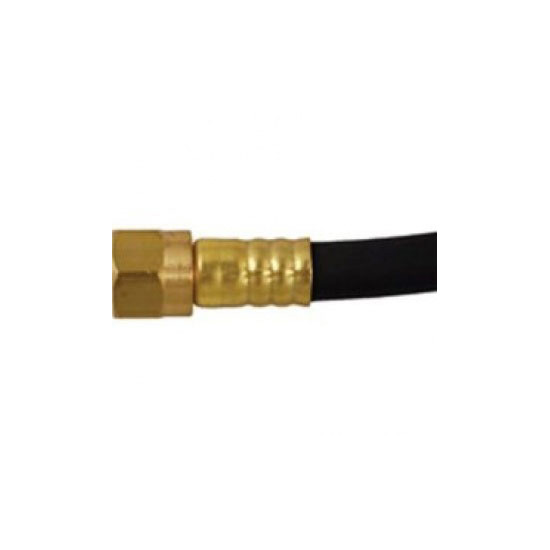 Each hose comes with two ends and fully crimped brass ferrules.